Ideal for your handbag a stylish and professional compact manicure set perfect to keep close at hand. 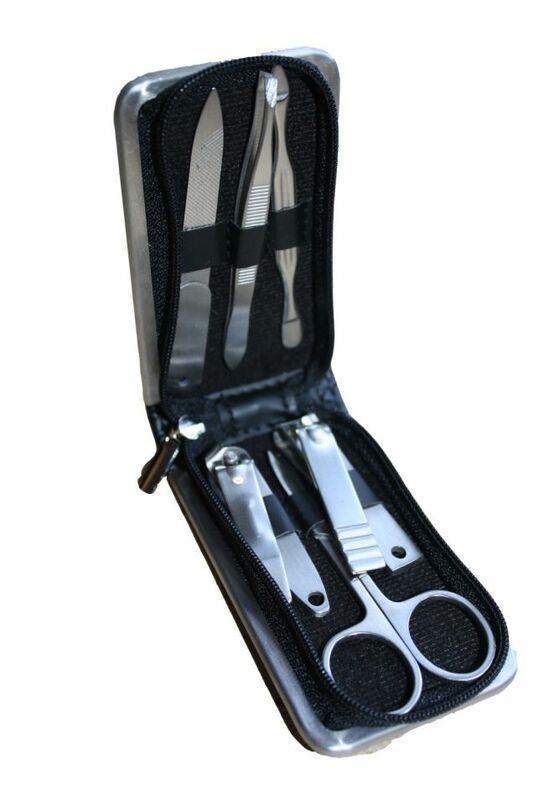 The kit includes a pair of scissors, two clippers, tweezers, file and cuticle pusher. Great quality and presented in a black zip case with crocodile detailing.